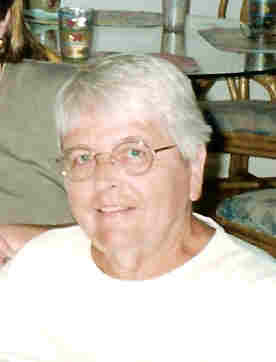 Former Faribault resident Raymah Wulf, 74, died April 8, 2007, in an assisted living facility in Brandon, Florida after a long-term battle with cancer. Ms. Wulf was born June 28, 1932 in Faribault, Minnesota to Helen and Lorenz Wulf. After graduating from Faribault Senior High School in 1950, Raymah worked for the Faribault Public School System. She moved to Cedar Rapids, Iowa in 1968 where she worked for the City of Cedar Rapids for 28 years. Upon retiring, Raymah moved to Brandon, Florida where she enjoyed golfing and spending time with her family of friends. She is survived by her niece Christine Lick of St. Paul and nephew Jay Lick of Stewartville, Minnesota. Ms. Wulf was preceded in death by her father Lorenz (1952), brother James (1980) and mother Helen (1995). the Maple Lawn Cemetery, Faribault. RAY RAY. WE ARE SORRY YOU HAD TO SUFFER THE LAST YEAR OF YOUR LIFE. YOU HELD UP LIKE A TROOPER WITH NO COMPLAINTS, NEVER FEARER, NEVER QUESTIONING. YOU WERE A TRUE FRIEND TO THE FAMILY AND EXTENDED FAMILY WHO HELD YOU AS ONE OF THEIR OWN. YOU WERE A KIND AND GENTLE SOUL WHO NEVER HURT ANYONE. MAY YOU FIND ETERNAL PEACE AT LAST, NO SUFFERING, NO PAIN AND NO TEARS. WE LOVED YOU. MARK AND JILL LENNON AND FAMILY (KATIE/MEGAN AND JOEY) WHO VISITED WITH YOU IN YOUR TIME OF SUFFERING WHEN WE COULD.